The Metroid Prime 2: Echoes Bonus Disc was a preview demo for Metroid Prime 2: Echoes on the Nintendo GameCube. The game contained trailers, an up-to-date history on all of the announced Metroid games, as well as concept art from the Prime series, and a demo featuring a remixed room layout (compared to the final released game). 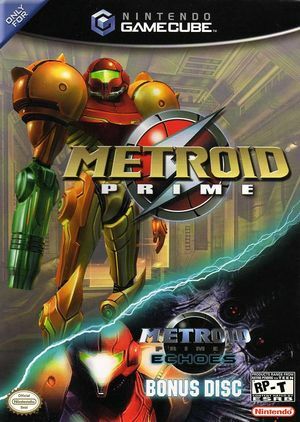 The disc was mailed to those on Nintendo.com who registered enough games (without a case), and was later bundled with Metroid Prime in new packaging. This new set was then bundled with GameCube later on. Scanner/Visors will only work if EFB Copies to Texture Only is disabled. Unlike for the full version of the game, EFB Copies to Texture Only is not disabled by default within the game INI, so it must be enabled manually under the "hacks" tab in graphics settings. Refer issue 10759. Fixed in 5.0-7714. The graph below charts the compatibility with Metroid Prime 2: Echoes Bonus Disc since Dolphin's 2.0 release, listing revisions only where a compatibility change occurred.